Have you ever gotten a bill in the mail? What happens if you do not pay it? Somebody is going to try to collect it, are they not? We know what it means to owe a debt and have an obligation to pay the debt. We do not want to live an indebted life. So, if we have the gospel, God says we owe the gospel. By owing the gospel, we must pay our debt. If we have not paid our debt, it is a sin against God, a sin against the lost in our world, and a sin against the gospel. It is quite natural that we are to live for the One who died for us. When we are not living for the One who died for us, we are living for ourselves. When we are not living for the One who died for us and are living for ourselves, then we find everything that we can possibly imagine as an excuse for not having this stewardship of the gospel. No matter what we say, it is an inescapable truth that we shall meet God. Christ died as you and for you; He paid your sin debt and mine. He tasted death for every man; He was buried and rose from the dead. We have asked God to forgive our sin and by faith come to know Christ as Saviour. When was the last time you made a payment on that debt? Did you make a payment this week? Where did you make a payment? Did you make a payment in a restaurant? Did you make a payment at the dry cleaners? Did you make a payment at the gas station or the grocery store? Did you make a payment knocking on someone’s door, telling them about the Lord Jesus Christ? Paying this debt is more than talking about church. We make a great mistake in our witnessing effort by asking people if they attend church. We ought to begin with Christ. We have been so actively and aggressively involved in the soul-winning effort at the University of Tennessee that they once put a cartoon in their paper, The Daily Beacon, about us. It read, “Watch out for those Temple people. They are telling people they are going to hell without Christ.” There was such a presence of witnessing there. When was the last time we paid a debt on a college campus? Are we paying a debt in all places where God has opened a door? We have a debt to pay and it ought to be paid. For the love of Christ constraineth us; because we thus judge, that if one died for all, then were all dead: and that he died for all, that they which live should not henceforth live unto themselves, but unto him which died for them, and rose again. Wherefore henceforth know we no man after the flesh: yea, though we have known Christ after the flesh, yet now henceforth know we him no more. Therefore if any man be in Christ, he is a new creature: old things are passed away; behold, all things are become new. And all things are of God, who hath reconciled us to himself by Jesus Christ, and hath given to us the ministry of reconciliation. God has reconciled us to Himself. We have been brought to God, our sin debt has been paid, our sins have been forgiven, and now because we have been reconciled to God, God has turned over to us the ministry of reconciliation. We may say, “I have a lot of fun with folks. I enjoy being around people.” Do you pay your debt to those people? You say, “I have some great friends. We have done a lot of interesting things together.” Have you paid your debt to those people? Let us find the right motive for our lives and stop excusing ourselves in this matter of the stewardship of the gospel. Often we hear about wealthy people who become very benevolent with their money. They have so much money they do not know what to do with it. They establish trusts and other types of things they can use to distribute their money. We hear about tremendous sums of money that very wealthy people give away to feed the hungry, to clothe people, or to establish educational institutions, and we think of how much money they invest in those things. Do you know that no one on earth, at any time, has ever given any greater gift to any person than to pay the debt of the gospel to that person? Are we paying our debt? The one thing God gave us to do, He gave us as a personal stewardship of this one thing, and we have neglected. Do you think God is pleased with that? No. Stewardship involves all of our life, and it certainly involves the gospel. We have received the gospel. To have it means to owe it. We are doing a very poor job of paying our debt. May God help us to live every day aggressively paying our debt of the gospel. 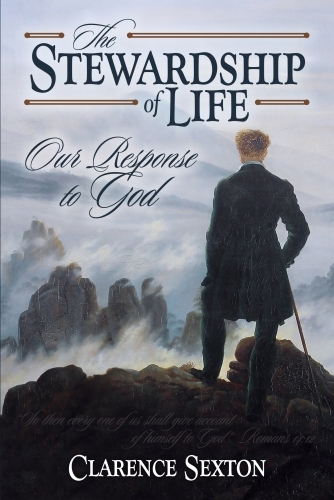 If you would like to read more about our responsibility of stewardship for all of life, please order my book The Stewardship of Life. Buy the Full Length Book Today! How Will You Respond to God?